Indian man in office showing OK gestures by two hands. Man pointing at his colleagues co-workers. 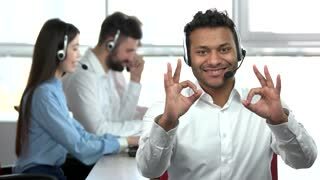 Call center worker recommend his co-workers.